If you have a chance to hike Manzana Trail up towards Manzana Narrows you may notice two new picnic tables along the way that weren’t there before. The tables are part of Jeff Bastanchury’s Eagle Scout project and were installed with the help of volunteers and scouts from Troop 42. Manzana Creek is a popular hiking destination within the San Rafael Wilderness and is also a favorite of Troop 42. 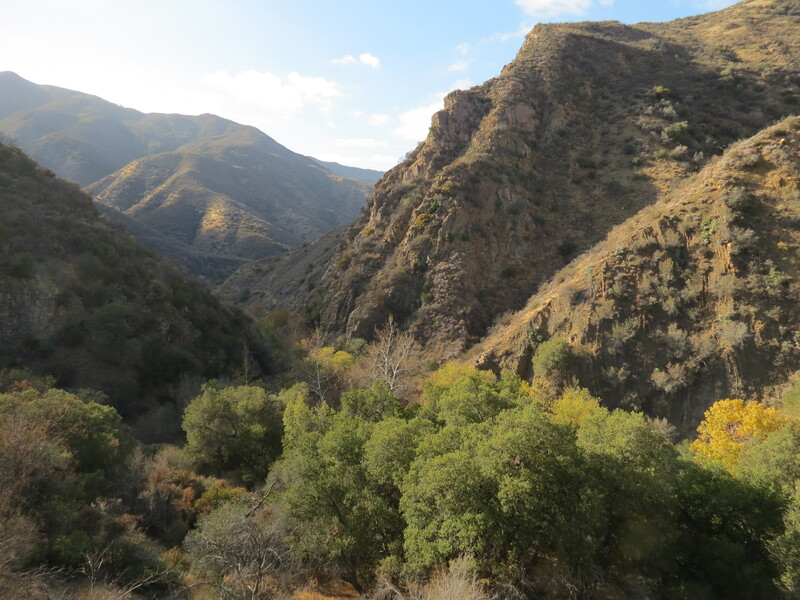 The scouts regularly backpack and camp along Manzana Creek, as well as camp at Davy Brown and hike the trails in the Figueroa Mountain Recreation Area. A resident of Buellton, Mr. Bastanchury has been involved in scouting since joining the Cub Scouts ten years ago; now a Boy Scout he is currently working towards completing the requirements to become an Eagle Scout. The rank of Eagle Scout is not something that is earned overnight. It requires dedication to scouting and an active involvement with one’s troop. In fact, only a percentage of scouts actually complete all of the requirements. In additional to progressing through the different ranks to reach Eagle, a scout needs to earn 21 merit badges, serve in a leadership position within the troop, and complete a community service project before his 18th birthday. Mr. Bastanchury, 16, has met the requirements thus far to advance through the different rank levels within scouting, achieving the rank of Life Scout. He has two remaining merit badges to earn; a scout can choose from over 100 different merit badges, 12 of which are specifically required. Mr. Bastanchury has served as patrol leader and is currently Junior Assistant Scoutmaster for Troop 42. One of the great things about scouting is that it helps cultivate leadership at an early age. As part of the requirements to become an Eagle Scout, a scout also needs to design and lead a community service project. The inspiration for Mr. Bastanchury’s service project came to him while hiking on the trails. He had originally considered repairing picnic tables at another recreation site, but during one of the troop’s backpacking trips along Manzana Creek he ran into Volunteer Wilderness Ranger Paul Cronshaw. In talking with Mr. Cronshaw, Mr. Bastanchury learned there were two campsites along Manzana Trail that would benefit from new picnic tables. The next step was to submit a written proposal to his troop committee and district committee within Los Padres Council Boy Scouts of America, as well as with the Forest Service’s Los Padres National Forest representative. Once his project was approved, Mr. Bastanchury lead a local fundraising event in order to purchase the metal frames, lumber, and other materials for the picnic tables. It was through Mr. Cronshaw that Susie Thielmann joined the project. 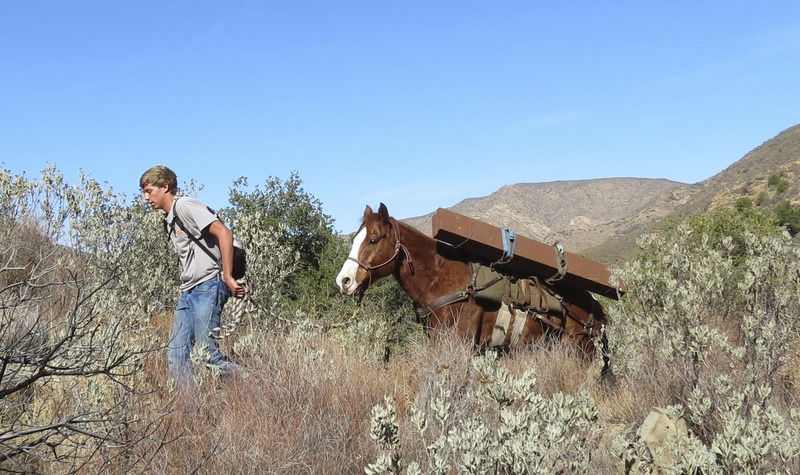 A Volunteer Wilderness Ranger, Ms. Thielmann is part of the Los Padres Forest Association’s Wrangler program, which supports trail work projects by providing stock animals to help carry equipment and supplies. Earlier this month, Mr. Bastanchury along with the other volunteers met Ms. Thielmann at Nira Campground where they loaded the materials onto her two horses, Sansi and Montana, and hiked to Ray’s Camp, about five miles. At the campsite they unloaded the horses, and assembled and installed the first picnic table. At Ray’s Camp they also stashed the materials for the second table. This past weekend the scouts and volunteers returned to Ray’s Camp, loaded up the materials, and continued up to Manzana Camp where they assembled and installed the second table. In addition to the Volunteer Wilderness Rangers, Mr. Bastanchury was supported by fellow scouts Ben Donahue, Terry Schrepel, Alex and Eric Wittmann, and scout leader Matt Donahue. Also there in support was his father and scout leader Mark, as well as his mother Diane and sister Nicole, both of who are active in Girl Scouts. A Junior at Santa Ynez Valley High School, Mr. Bastanchury is also on the varsity water polo team and divides his time between scouting and his other extracurricular activities. After high school he plans on attending college and has considered becoming a fire fighter or serving in the Coast Guard. Mr. Bastanchury shared that through scouting he has had the opportunity to learn about leadership, communications, working with other people, and true to the scout motto, to be prepared. For those hiking along Manzana Trail the tables will be a welcome additional to the camps. In fact, with the arrival of fall this is actually one of the nicer times of the year to visit the backcountry. The trees are starting to draw less water from the creeks and with the recent rains Manzana Creek is starting to flow again. Manzana Trail can be accessed from the trailhead at Nira. To get to the trailhead from Santa Barbara take State Route 154 and continue over San Marcos Pass, past Lake Cachuma, and turn right onto Armour Ranch Road. Continue along Armour Ranch Road and turn right onto Happy Canyon Road. Happy Canyon Road continues through ranch country before climbing towards Cachuma Saddle. 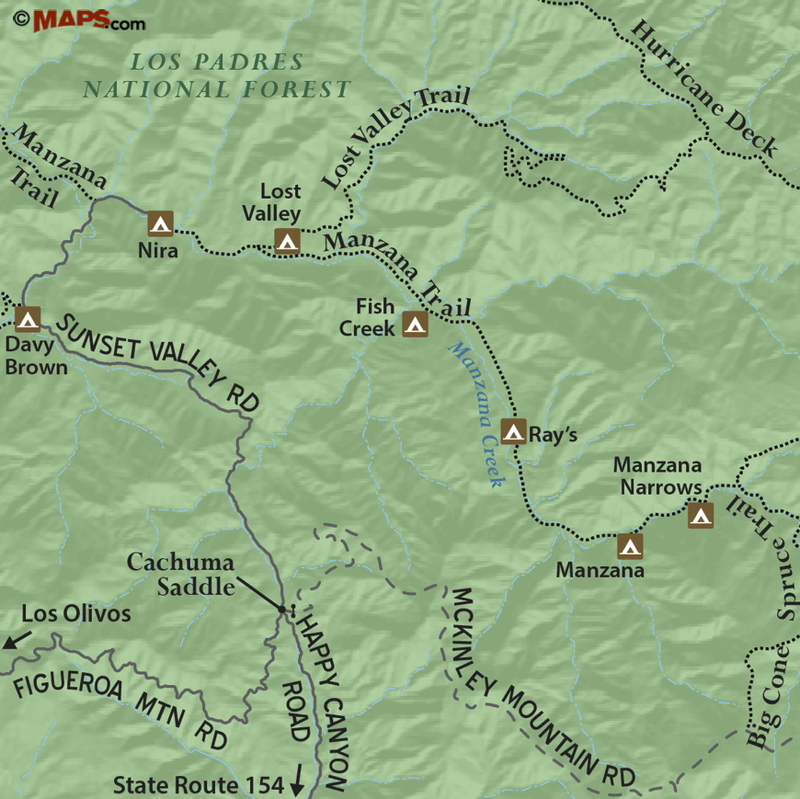 At Cachuma Saddle, Happy Canyon Road meets Figueroa Mountain Road, becoming Sunset Valley Road, and continues down towards Davy Brown and Nira Campgrounds. From Nira, Manzana Trail continues upstream along Manzana Creek and offers a number of destinations to choose from. The trail leads through a mix of riparian plants, chaparral and pines. The hike to Ray’s Camp is about 10 miles roundtrip. The camp was named for local writer and trail advocate Ray Ford. When Mr. Ford was a teacher at Dos Pueblos High School he would regularly take his students out in to the backcountry, including along Manzana Creek. About a mile past Ray’s Camp, the trail arrives at Manzana Camp. And continuing upstream another mile, the trail arrives at Manzana Narrows Camp. Manzana Creek is currently flowing between Manzana and Manzana Narrows camps. With the completion of his community service project and the fulfillment of the other requirements, Mr. Bastanchury will receive his Eagle Scout badge in a formal ceremony hosted by his troop. For more information about Boy Scouts of America and Los Padres Council go to http://www.lpcbsa.org. The article originally appeared in section A of the November 23rd, 2013 edition of the Santa Barbara News-Press. Water Report: Manzana Creek is dry most of the way to Ray’s Camp with a small pool near the camp. However, from Manzana Camp the creek is flowing all the way to Manzana Narrows. And with the recent rains that’s likely to improve.